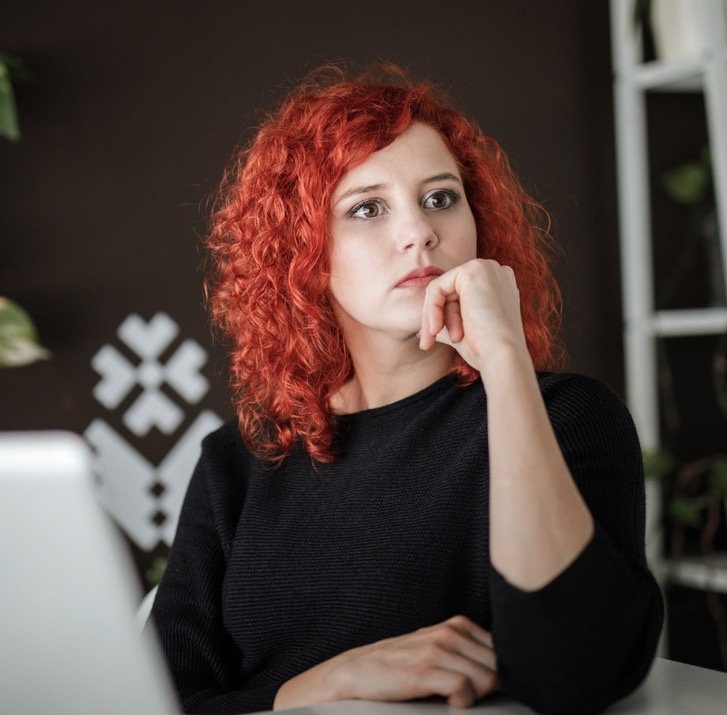 Mental health trusts differ considerably in terms of medication management when compared to acute care trusts, as the work environment is considerably different. The demands for care in this context are also rising due to an increase in the number of people receiving treatment and care for mental health conditions. However, that is only the first of many factors. The mental health sector must overcome an unprecedented number of challenges: – high demand, workforce shortages, unsuitable buildings, and poor clinical information systems. This was the conclusion of a three-year Care Quality Commission (CQC) research study on mental health-care delivery. According to Dr Paul Lelliott, Deputy Chief Inspector of Hospitals and lead for mental health at the CQC, the issues of highest concern are: the high levels of violence on mental health wards, the sexual safety of patients and staff, staff shortages, old and unsuitable buildings that are not fit for the 21st century, shared sleeping arrangements (where two or more people sleep in the same room), and the high number of people admitted to wards a great distance from their home. On 31 May 2017, 68% of the core services provided by NHS trusts and 72% of those provided by independent mental health locations were rated as good; a further 6% of NHS and 3% of independent core services were rated as outstanding. However, if you look at it from the other side, this means that a full third of the services are below standard. The organisation and complexity of care differ in various ways within mental health trusts. While care in acute care trusts is delivered more or less under one roof, mental health settings have a more “spread out” structure. Many NHS trusts are very big and operate over a wide geographical area, which means that much more information must be coordinated. For example, patients can be partially treated in inpatient clinics, community clinics, or at home, where they receive inpatient care administered by visiting nurses. Sometimes during hospitalisation medications are prescribed covertly (without the patient’s explicit knowledge). Sometimes patients use street drugs, and occasionally they take higher doses than what is prescribed. If electroconvulsive therapy (ECT) is part of a patient’s treatment, doctors need to know about it in order to adjust the medication therapy. 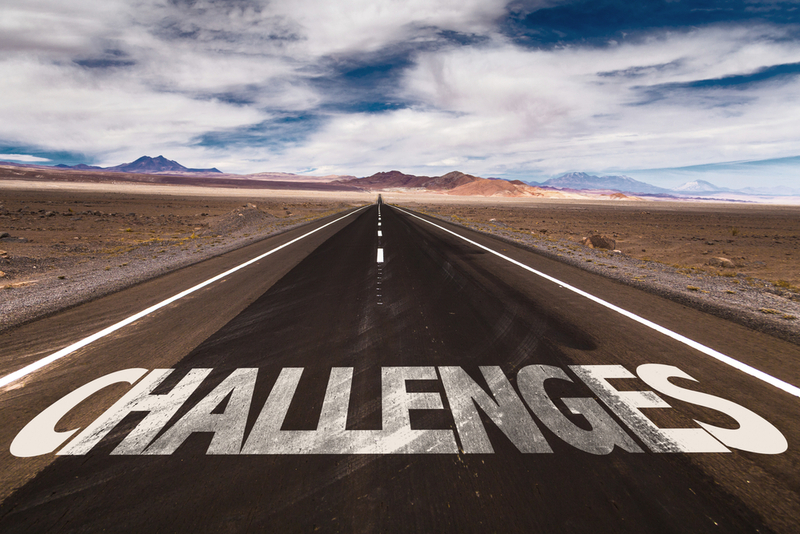 All of these challenges include prescribing medications, avoiding adverse drug events, and administering and recording what a specific patient is actually taking. 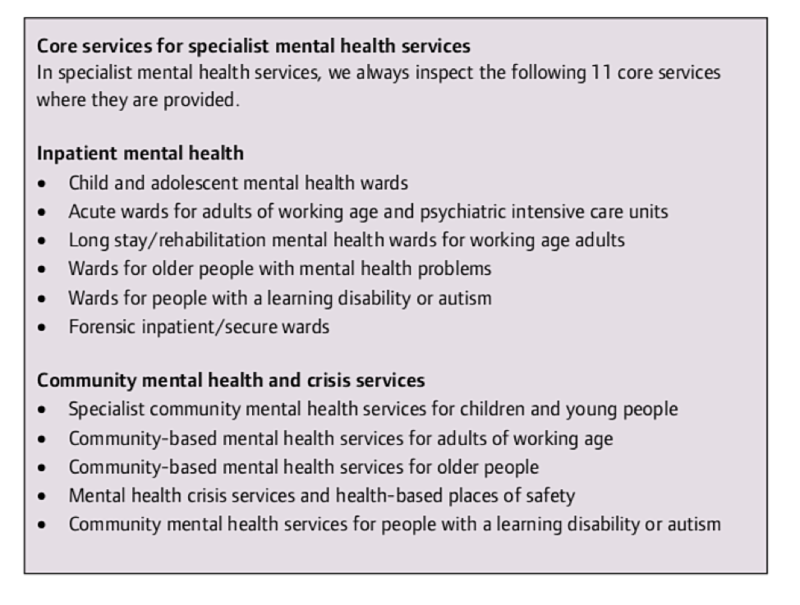 Care services for mental health services, as identified by the CQC. Electronic support for medication management, equipped with decision-support, would be crucial for the improvement of care. But, first, healthcare IT needs to improve. Existing IT support in mental health trusts is suboptimal. According to the CQC’s The state of care in mental health services between 2014 to 2017, much of the clinical staff voiced frustration regarding the clinical record systems they have to work with. Staff are often unable to locate or retrieve information that others have recorded, have to enter essential clinical information into a number of different systems (because these systems “do not talk to one another”), or have to work with a confusing combination of electronic systems and paper. The organisation and environment of workers must be considered when considering ePMA implementations. Mental health pharmacy services are often compromised by lower levels of staffing, or greater travelling distances. For example, a unified ePMA system (tracking patients’ medication no matter where they receive care, whether in an inpatient or community setting), could enable remote medication reconciliation in the form of real-time collaboration between nurse prescribers visiting patients at home, and pharmacists at other locations. According to Christine Wadsworth, clinical pharmacist and ePMA Implementation Lead at Advanced (which is integrating Marand’s OPENeP ePMA into their Carenotes Electronic Patient Record Software), some additional specifics which ePMA system providers should be mindful of when designing solutions for mental health trusts include: the use of very high doses of medications, the potentially large number of interactions, knowing that therapies often change when patients are unresponsive, non-compliance, people not showing up for check-ups, patients’ potential use of street drugs, the higher number of PRN medications (medications given when required, not regularly), the enabling of consent recording (T2 and T3 forms), and more. When designed and used correctly, ePMA systems can improve patient safety by preventing adverse drug events caused by wrong or omitted doses, reducing the delayed and omitted doses of required medicines, and ensuring that clinicians treating patients are fully aware of all the medicines that were being taken prior to admission. This not only improves care but can also increase efficiency and costs. In 2011 East & South East England Specialist Pharmacy Services conducted a collaborative evaluation of the outcomes of pharmacy-led medicines reconciliation (MR) in community health and mental health care settings. The researchers recorded an error rate of 8.9 errors per 100 medication orders, most often in connection with drug dosage. A pharmacy-led intervention could contribute to better care and cost savings. For community health services patients, the average cost avoidance per pharmacy-led MR was calculated as £53 (£31-75). MR for mental health patients was calculated at £5-13 per MR, with a warning that in some cases with adult mental health patients the overall cost avoidance might be negated by the resource required to provide the service.